Developed to take advantage of Los Angeles Dept. 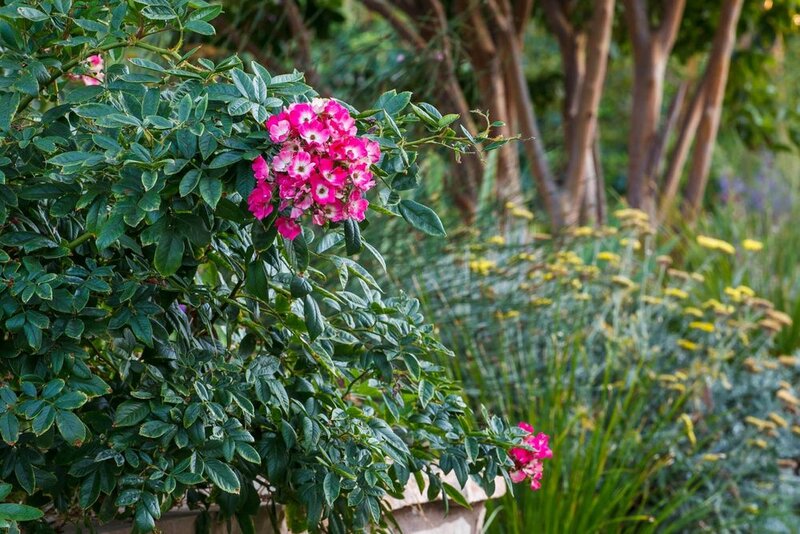 of Water and Power's lawn rebate program, this colorful garden replaced 1600 square feet of thirsty turf with a vibrant and drought tolerant plant palette. The new design created a more defined entry with softened corners and improved views from both outside and inside our client's home. A small rain garden was also created to capture stormwater from the roof and give it a place to permeate the soil instead of running directly into the storm drains.